This is an excerpt from an article by Dr Shari Read in the Birth Journeys book. Shari is a psychotherapist, yoga and meditation teacher, and mum to two beautiful children, both born using the techniques taught in her BirthSkills® program, book and CD. Visit www.birthskills.com.au for more information on the program or to find your nearest practitioner. In some cultures, birth is celebrated and honoured. Relatives and close friends care for the woman during pregnancy and are there to guide her through the process of birth. Young girls grow up having witnessed the births of siblings or cousins and learn that birth is a positive event. They develop expectations of being supported and nurtured. Birth is regarded as a natural, normal event in a woman’s life. As a result of this positive expectation of childbirth, the next generation is born into a calm, welcoming environment. This is quite a contrast to birth in Western cultures today. For generations, we have been told that delivering a baby means many hours of painful, hard work – something to be regarded with fear and trepidation, something to ‘bear’. We experience pain in childbirth, in part, because we expect to. All that can truly influence a woman’s birthing experience are her views and perceptions of it. What you believe, you will find. If you believe that birthing is a painful and traumatic experience, you will most likely interpret the sensations you feel during labour as painful and traumatic. Alternatively, if you believe that women’s bodies were designed to birth a baby, you will be much more likely to interpret the workings of the uterus in a similar manner to the way other muscles in your body work – with one obviously different and wonderful outcome – the birth of your baby! It is important that you believe that birth is the process of welcoming your child. This belief provides the framework for your birth preparations. There are three underlying principles of birthing in harmony with your body: breathing, physical relaxation and physical positioning. Read about them here. Learn the skill of physical relaxation and form an intention to work with your breath during labour and birth. Physical relaxation allows the muscles of the abdomen, back and pelvic floor to soften and move gently out of the way as the uterus expands and contracts during labour and your baby moves down through your body. Being physically relaxed also ensures that your body isn’t flooded with stress hormones (eg. cortisol), which results in tense muscles, robbing the uterus of oxygen. Breathing is a very important part of birthing calmly and comfortably. Breathing is the essence of relaxation. There are several breathing techniques that will help you remain relaxed and focused, breathe through surges, and breathe your baby down during the second stage. It is also essential that you keep the oxygen flowing around your body and to your baby (if you aren’t breathing well neither is your baby). The muscles of the uterus need oxygen to work effectively, just like any other muscle in your body, and your baby needs oxygen to stay healthy during labour and avoid unnecessary distress. Breathe in deeply to ensure your body and baby have oxygen available, breathe out fully to ensure you release carbon dioxide and waste products from the working muscles. Understand how your body works during labour, particularly the muscles of the uterus. Ensure that you understand what is actually happening, mechanically, during the first and second stages of labour and how you can assist your physical body in this process (physical relaxation and breathing will contribute significantly). Also understand how the positioning of your body during labour and birth affects how the muscles work in nudging your baby down and out. There are many techniques for enabling your mind and body to work together and enable you to birth your baby in a calm, confident and welcoming manner. Women who are free of fear, well informed, well supported, and prepared with techniques and skills will be able to create a positive birthing environment and a welcoming birth for their baby. Categories: Birth Information | Tags: hypnobirth, labour | Permalink. A positive birth is all about how a woman feels during her labour or birth. 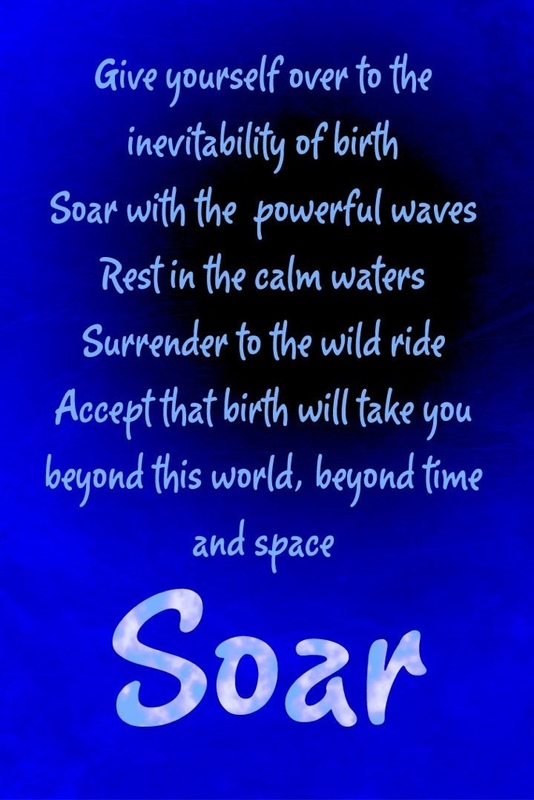 Whether women describe their birth as empowering, positive, spiritual or sacred – they are talking about how they felt in mind, body and spirit. Feelings are shaped by how they perceived birth as well as how they were supported and treated by those around them. I admit it. Before experiencing birth at all, I thought women who spoke of birth like this must be absolutely crazy! I couldn’t reconcile what I thought must be the most painful and dangerous ordeal imaginable with these descriptions of joy, ecstasy, empowerment and strength. Even once I began to understand that labour was manageable and a natural birth was possible, I didn’t understand how birth could be anything but hard work. I went into my first birth determined to get through. It felt like a battle. When women feel anxious, the hormone that drives contractions is interrupted by fight or flight hormones. Labour may slow or stall and medical intervention may be introduced to move things along. Women need to feel safe, private and loved to support the work of the hormones that create labour. So feeling loved, safe and private enough to let go is not just a ‘nice idea’ for labouring mothers. It is a biological imperative – it is nature’s plan. Categories: Birth Information, Opinion | Tags: hormones, labour | Permalink.